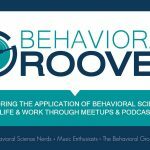 Today I Am Grateful For: Being Unmotivated – Behavior Matters! Thanks, great post. I wish more blog owners will take time to properly write and review. Many thanks. This precisely what I’ve been searching for. Thanks very much for the reply’s — they are very much appreciated and make me feel like this blog is actually impacting some people (and not just a narcissistic endeavor). I was uber motivated yesterday. Been trying to load up on Hinda’s blog content arsenal for the last few days. It’s been challenging but for me personally, very engaging. And then after you let the day go, you need to go and have a beer! Get ready for a better tomorrow.